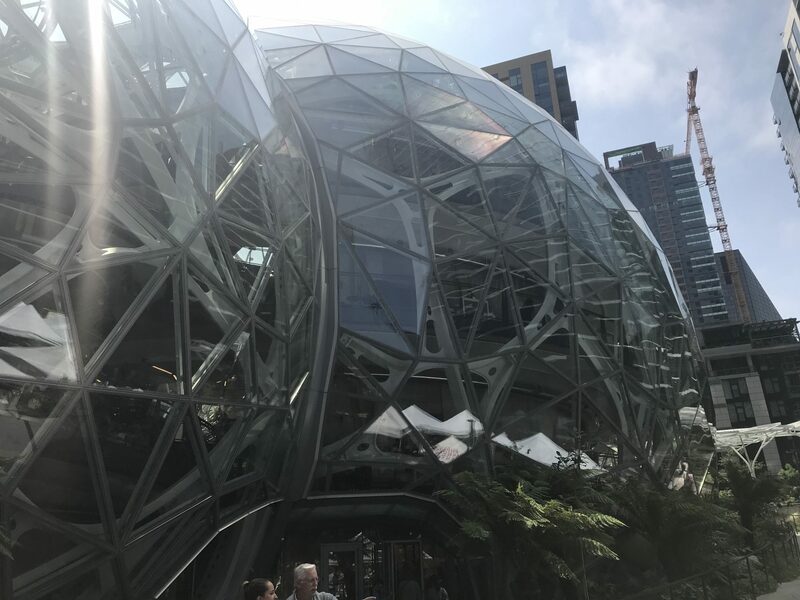 Nestled in Seattle downtown amongst the bustling streets and towering skyscrapers are large glassed-in spheres. 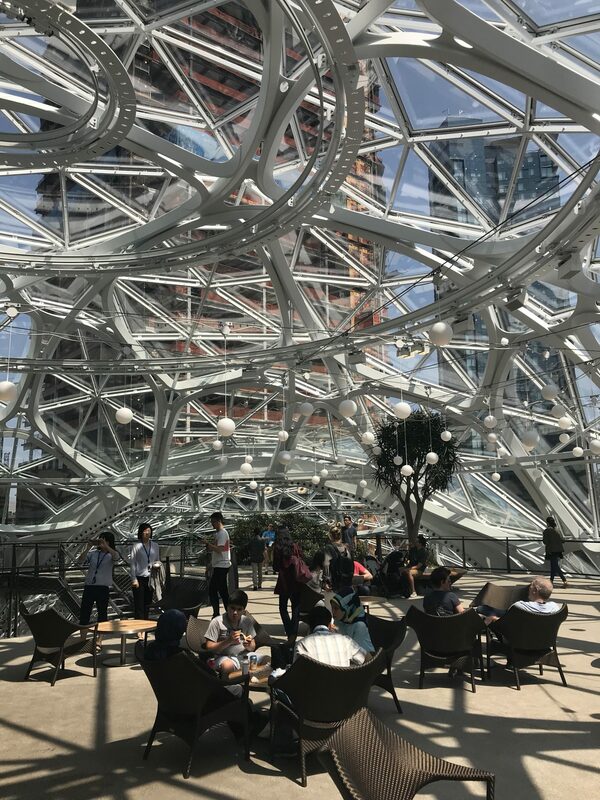 It is fantastically conspicuous and looks to be out of some project to test biodomes and future life on Mars, but upon closer inspection, one finds humans criss crossing suspended walkways, dining at cafes, having a casual meeting, or working on laptops. Inside is a terrarium full of plants, flowers, trees, and water features. It is teeming with life and foliage–something that stands in stark contrast to the rigid cityscape surrounding it. 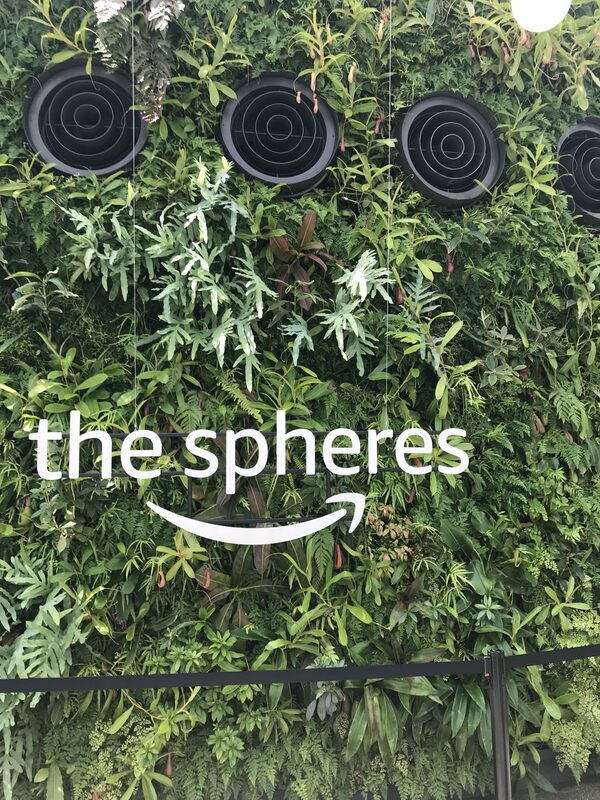 The Spheres are owned by Amazon, in fact one has to badge into the building to get access. I tried using it as a location to work in today. It was refreshing not to be in a cement building and it made for an overall relaxing time compare to the bustle of the city just outside. 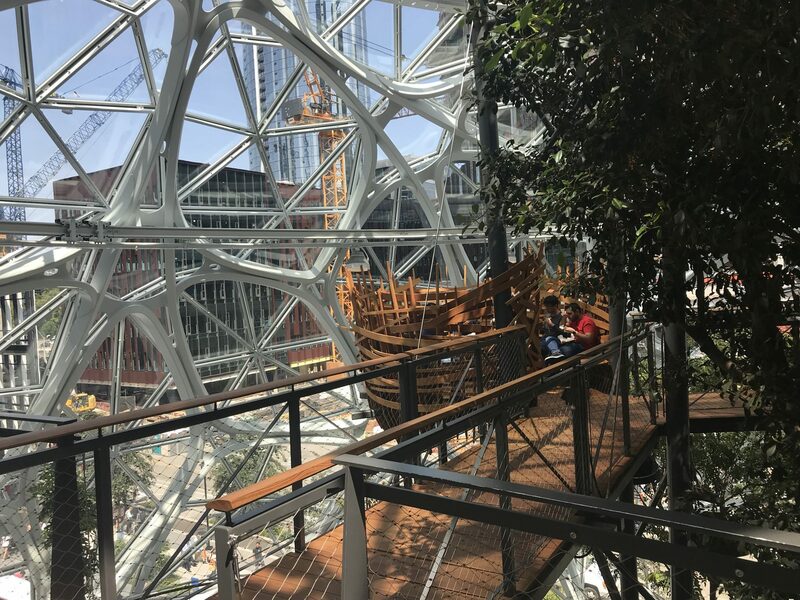 As you meander up the staircases and internal levels, there are alcoves tucked away which can be converted into makeshift work desks or even relaxing deck chairs. It has the feeling of a library or large study hall space where people come and go at will. It can be with faults. The enclosed structure isn’t very conducive to temperature regulation and so can get rather stuffy for extended periods of time. I learned I can bring guests and have meeting in that location–just hope to be able to find enough space.